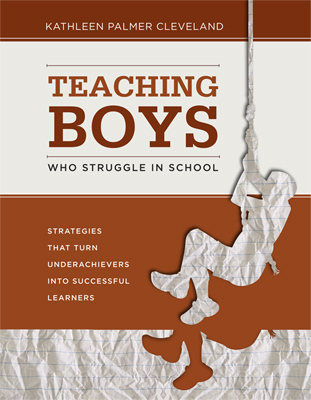 Teaching Boys Who Struggle in School: Strategies That Turn Underachievers into Successful Learners responds to growing concerns about a crisis in boys’ academic achievement. Kathleen Palmer Cleveland seeks to help K–12 educators cut through the hype to get at the real problem: who is underachieving, why are they struggling, and how can educators respond to these students’ needs in new and productive ways? Reduce the need for unproductive and distracting behaviors as a means of self-protection.